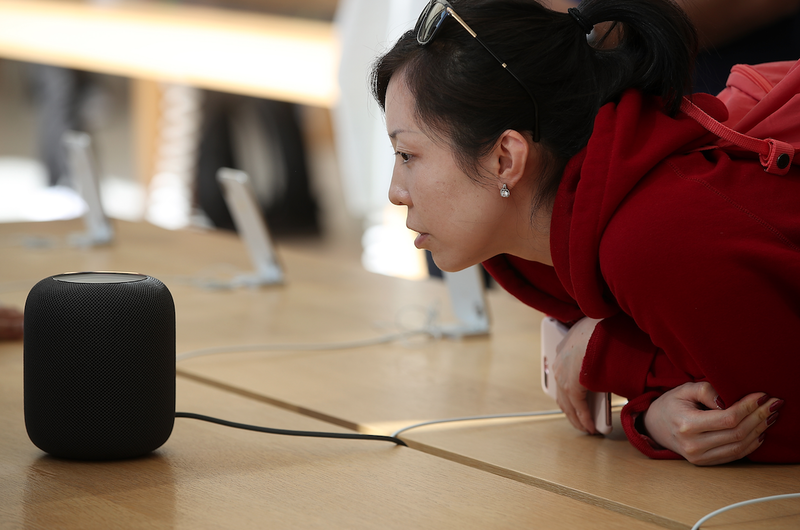 Apple dropped the price of its HomePod smart speaker on Thursday. HomePod now costs $300. It previously cost $350. Dropping the price of the HomePod doesn’t resolve its fundamental issues. Apple’s first-generation HomePod smart speaker launched last February. One year later, the HomePod is getting an official price cut. As of April 4, the HomePod now costs $300, down from $350 — a 14% drop. Unfortunately for Apple, dropping the price of HomePod isn’t going to solve its fundamental issues. HomePod doesn’t play nicely with other music services beyond Apple Music. Spotify, Pandora, and Tidal will work, but you can’t ask your HomePod to play any music over those services. The only way to control music play back through non-Apple Music services is to control it on a connected device, like an iPhone or iPad. Not using your voice, though, means taking away one of the main reasons to own a HomePod. HomePod can’t hook up to other devices via auxiliary cord. The HomePod lacks inputs, period, so you can’t just plug your device directly into the speaker and press play. You need an iOS device to set up HomePod, and Android devices will not work at all. Setting up the HomePod requires an iPhone, iPad, or iPod touch. Apple’s website says you cannot set up HomePod with a Mac. And if you’re using an Android device, you’re simply out of luck. Siri is not as good as rival smart assistants like Google Assistant and Amazon’s Alexa. The HomePod, even at $300, is more expensive than competing smart speakers, which can cost as little as $50 (in the case of the Amazon Echo Dot or Google Home Mini). To be fair, the HomePod has better sound quality than its rivals’ more affordable smart speakers, like the $100 Amazon Echo. But it doesn’t quite compete with higher-end offerings, like Google’s $400 Home Max, especially since that speaker works with all Bluetooth devices, has an auxiliary port, and supports a litany of streaming services. Apple built a beautiful-looking speaker with excellent sound, but not letting Siri work with other music services, and preventing people connect their devices directly, handicaps the HomePod right out of the gate.